Thank you to those who have submitted records of dormice to our website. 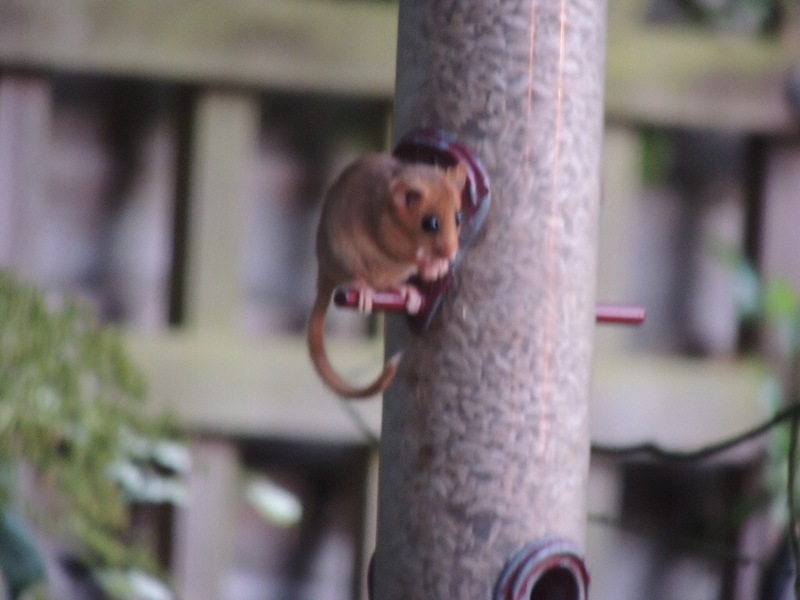 Here is one who regularly visits a bird feeder in a back garden of Hartley Wintney. It visits most evenings between 21.00 – 22.00 hours, sits on a perch on the feeder and helps itself to sunflower hearts.